« Pathworking or Guided Meditation? The following is an example of a Pathworking to empower yourself as being abundant in what you draw to you. As you will see it is a bit more complex in nature with more subtle wording that will act directly on the subconscious as a way to unlock the memories of spiritual experience as scene plays out. Additionally, you could use this in conjunction with a specific moon phase or season cycle to enhance the connections which are then reinforced by the energies on physical space that are resonant. Take a few deep breaths; filling your lungs on each inhalation and gently breathing out on each exhale. Allow your body to sit comfortably on the surface on which you are sitting. You feel no tension or strain in any part of your body. Allow your breathing pattern to establish its own rhythm of gentle rise and fall of your chest and a deeper feeling of relaxation with each exhale. Turn your focus now to the space behind your closed lids and create an inner screen upon which various images may be projected. This is your gateway into a meditative state of peace, calm and tranquility. As you continue to breathe deeply a fine mist of violet energy fills the screen and you are drawn to it. You see your self approach the center of this screen and gently step through, emerging at the edge of a wooded forest at dusk. The sky is ablaze and bathed in reds and oranges casting a serene glow on all it touches. The smell of autumn is in the air and the leaves of the trees are a palette of reds, browns and golds. This is the time of the harvest; the time when that which was seeded in the Spring and nurtured throughout the Summer is ready to be gathered. You walk forward on a path between the trees and each step produces the sound of crackling leaves echoing from tree to tree. A gentle breeze carries the scent of apples, pumpkin pie, corn pudding and bread baking. Take a moment to enjoy the aromas and sounds surrounding you. As you continue walking you are drawn to a light ahead and see the thatched roof of a cottage just ahead. A curl of dark, thick smoke spirals upwards from the chimney and the glow of amber colored light can be seen through the windows. You are instinctively drawn to this place and a sense of familiarity fills your being as you step up onto the porch. Pumpkins, gourds and tied bales of hale adorn the entryway. The scent of fragrant wood burning in a hearth within and the front door slightly ajar beckon you to come inside. You gently push the door open and amber hues, table-top baskets of apples and a crackling fireplace fill the panorama of view. Take a moment to look around and to drink in the sights, smells and sounds. You make yourself at home in this cozy cottage and know that these feelings are memories of what you have desired and willed to be so. As you continue with your exploration your eyes come to rest on a wicker basket shaped as a Horn of Plenty. It sits on a small side table and contains within small scrolls of parchment; each rolled and bound by an earthy green ribbon. You are curious about the contents contained within the Horn and what meaning they may hold for you and in keeping with the warmth and welcome you have felt from the time of stepping into this space of plenty, you reach out and take one of the scrolls from the Horn. You gently unroll it and see words and images appearing on its surface. Some you recognize, others seem like a distant dream and others still do not seem to have any relevance at all. Despite this, you know these contain the energy of what has already been gifted to you. This is your promise of a Full and Abundant harvest of all that is the best and most aligned parts of yourself. This represents that which is both a gift to yourself and in turn will become the gift you share with all you meet. This is the path of service and the agreement you have entered into for receipt of an abundant and flowing life. Holding your scroll you move to sit in a rocking chair that is placed just in front of the fireplace. As you gaze into the flickering and dancing flames you see the images of all the positive actions you have taken this year; all the successes of those seeds of new beginnings planted and the ripe, lush fruit that has come to full harvest. You breathe deeply as you scry into these dancing flames and take some time to reflect on these many beautiful, positive qualities that are expressions of your highest SELF. You have received all that is needed at this time and you stand, the rocker gently moving in response to your action. You look around the room, taking in all of the beauty surrounding you. You move towards the door through which you entered and take a final look around the room; acknowledging that this is your private and sacred space of working. This space is one to which you may and will return at anytime there is need to be reminded of the prosperity and abundance that flows through both your mundane and spiritual life. As these thoughts fill your mind and seem to echo throughout all of your being, your gaze is caught once again by the Horn of Plenty. 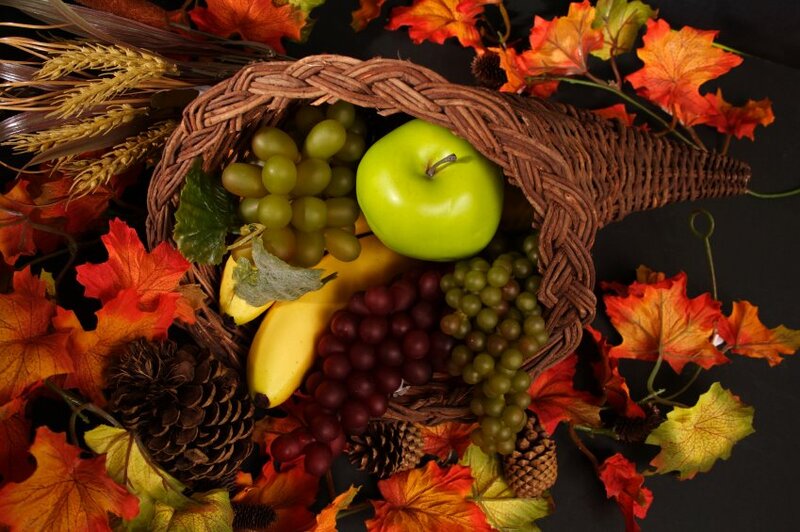 You move closer and to your surprise in place of the small scrolls of parchment you see that is has become a cornucopia filled with fruit, squash, corn, apples and nuts. The small table is filled to overflowing with all the bounty of the Harvest and somehow you know that this abundance reflects the many images you found within your own basket of plenty. You breathe in deeply committing this image to memory and vowing to align your actions with this ever-present state of abundance. You walk towards the door, gently push it open and step out into the forest, now lit by the brilliance of a honey gold sunset. The velvet of the night sky is minutes away and the hush and calm bodes the promise of a restful evening just ahead. As you stand on the porch taking in the beauty of this sight, just in front of you the veil of violet lit mist forms in front of you. You step through and once again return to the space of your inner screen. You feel the calm re-entry into this space and the screen gently fades as your focus returns to your breath and its strong and supportive rhythm. Allow yourself to slowly and gently return to the physicality of sitting in the space of your beginning; the feel of your body in chair or on floor and the gentle rise and fall of your breath. And, when you are ready gently flutter your eyes open and return to the sounds, smells and energy of your physical surroundings. The following is an example of a guided meditation I wrote to be used for stress reduction. Everything is designed to bring the subconscious into a state of relaxation that may then be called upon when the stresses of the day take over. It is direct and straight forward in setting and actions that could easily be translated into a real-life scenario. As you sit taking in the sights and sounds you continue to deepen your breaths. Each exhale seeming to release all of the tensions or stress that you may have carried into this garden. You feel yourself becoming lighter and lighter with your breath coming easily and deeply. You relax into the support of the garden chair and close your eyes. You are calm and completely at peace in this space. 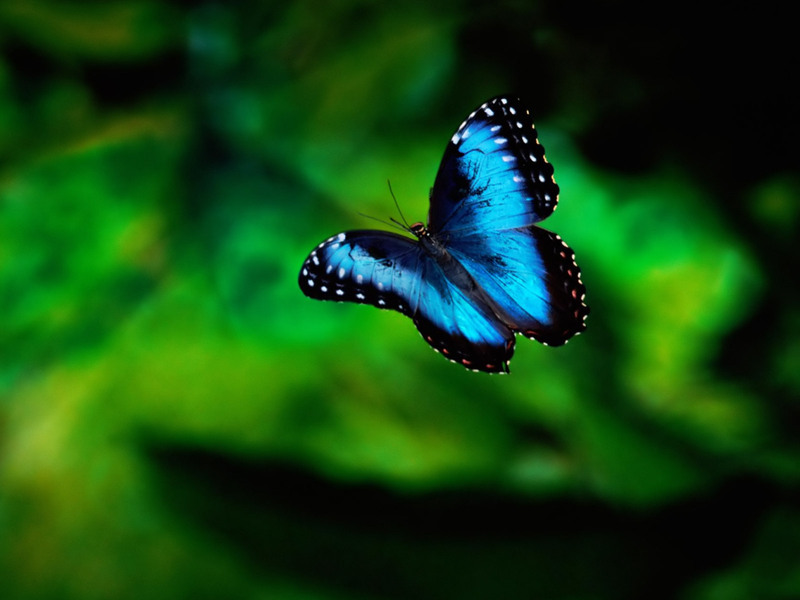 You open your eyes and see just in front of you a beautiful blue butterfly. It hovers over the tips of several of the flowers, stopping here and there and fanning wings open and closed. You follow the pattern of this beautiful creature as it moves from flower to flower and comes to rest directly beside you on a tall coneflower. You remain perfectly still, not wanting to disturb it and it goes about its work of busily gathering what it needs. You remember that you have seen these same butterflies in the carefully tended landscape around your work space, but have never taken the time to pause and take in the peace and beauty of their flight. You vow that you will carry this image back into your waking/working world and it will remind you of the serenity you have felt in this space. As these thoughts move smoothly through your mind, you realize that some time has passed and still the butterfly remains on this singular flower near you. You draw this image deeply into your memory and breathe deeply feeling with each flutter of the butterfly’s wing even more tension being released. You close your eyes, resting into this gentle rhythm of breath that is in sync with this creature of beauty and serenity. You take a few more deep breaths in this manner and open your eyes to gaze once again on the fluttering of blue velvet wings. You are surprised to see that the butterfly is no longer there or anywhere in sight and your realize that this gentle pace that you began with the butterfly was being supported and sustained by your own will and desire for calm and serenity. You close your eyes once again feeling totally relaxed, safe and comfortable in this space. Remain in this state of pure peace for as long as is needed. You take a deep breath and open your eyes and find that it is slightly darker than when you entered this space. The evening is coming and soon it will be dark and time for restful sleep and renewal. You stand and stretch broadly feeling as though you could gather all of the space within your arms and carry it back with. You breathe deeply and draw in the smells and feelings of ease and renewal. You step forward onto the path you entered upon and give one final look back at the nestled space of peace that you found. You take a few steps forward and see just ahead of you a fine light blue mist forming and weaving its energy. As you approach closer you see that is actually hundreds of the blue butterflies weaving and fluttering wing creating a veil. You breathe deeply and step directly into the center as they part and surround you, gentle wings softly beating and reminding you of the peace and calm they offered. You breathe deeper still and utter a soft and gentle thanks and at the release of thee words the space clears and you find yourself once again in the space of your inner landscape. You continue to breathe gently and fully and with each breath you become more aware of your physical being sitting in the space you chose for this meditation. You become more aware of the sounds and the smells surrounding you. You become more aware of the rise and fall of your chest moving in the gentle flow of inhale and exhale. And, when you are ready, gently flutter your eyes open and be present in physical time and space, relaxed, renewed and serene. As you can see from the examples above, each has its own type of rhythm and quality dependent on what the desired outcome may be. Whichever you chose, regular use of the written word as a medium for change can offer lasting benefits and in the time you will come to know yourself at a much more profound level. I have been thinking over your response, and cannot see how to apply it. I did the Healing Temple meditation, or (rather) have been ATTEMPTING it … but the Temple won’t let me get inside: it feels as if I am being not just locked out (and unable to find the lock, let alone a key to open it) but actively, physically and otherwise refused entrance (as though the Temple in the meditation was alive and could think and wasn’t about to let me in: NO WAY!) What’s going on?!?! Hi Kate… The blank scroll indicates that you have yet to write what is important and to be added. This is a good thing in that what your sub-conscious is seeking is what you will be authoring yourself, rather than what are the memories of your responses to another’s creations. The artificial fruit doesn’t mean anything is wrong, perhaps it is more of a reminder to you that you must infuse life into what sustains and nourishes you. Also, maybe a call to look more deeply at what nourishes and sustains your creativity- beyond the surface of what you perceive as unworthy and “cheap”- seeing the energy and effort that was laced into its creation. Everything is not always successful in its representation but there is merit in the work that was offered up to the attempt. I hope this may give you some insight. There is nothing that you did “wrong”. Everything is of value and the lessons are in what you see as the possibilities. When I did the pathworking and got to the part where I opened a scroll, it was blank (on both sides). Then, when I got to the part where the wicker horn’s contents had changed into fruit, the fruit was artificial: some kind of hollow plastic-like wax, with somewhat fake-looking colors like cheap industrial dyes. What does this mean? Am I doing something wrong?